You've probably heard of bitcoin, but there are a lot more virtual cryptocurrencies out there - and there's about to be one more that will especially interest fans of "Smack That" and "The Sweet Escape." Akon has announced that he's developing a custom cryptocurrency to be called — wait for it — Akoin. This isn't just about ego (although there's at least a little of that): the musician, who is of Senegalese descent, sees cryptocurrency as a way to bring economic security to Africa and encourage entrepreneurship on the continent. 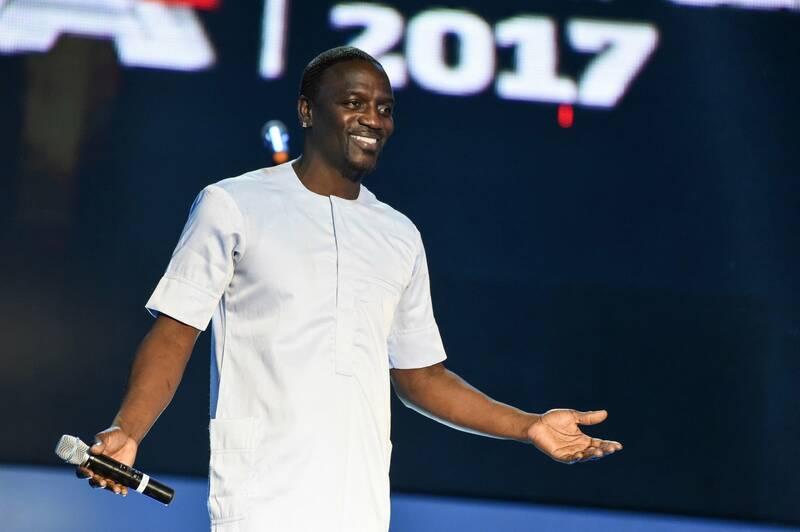 According to Stereogum, "Akon is developing what he calls 'Akon Crypto City' on a 2,000 acre plot of land in Senegal, given to Akon by Senegal's president. [...] It'll be 'a first of its kind 100% crypto-based city with Akoin at the center of transactional life.'" Bruce Springsteen’s Broadway show has a very fixed set list — but on Tuesday night, for the first time in 146 shows, the Boss decided to deviate and add a song. He played "The Ghost of Tom Joad," a mournful 1995 song about the plight of migrants, in what was seen as a protest against President Donald Trump’s policy of separating immigrant children from their parents. As Billboard reports, distilleries are turning to music to impart special character to their spirits. At least four different U.S. distilleries are using amplified music in the alcohol aging process. Joe Heron of Copper & Kings in Kentucky explains how this works: "[When] a bass note is pulsed into the barrel, the alcohol molecule moves away from the sound wave, hits the barrel wall, slides up until it loses momentum and then falls down, and the process repeats." At Dark Island Spirits in upstate New York, Billboard reports, "the distiller often matches musical genre to corresponding styles of alcohol. The Eleanor Glen single malt whiskey, for example, is soothed by the Celtic-inspired rock of Jane Espie. Blues Bourbon gets a classic R&B playlist, while the seasonal Snow Wheat whiskey is paired with Christmas carols. The rum gets reggae." Here's a playlist featuring the songs Copper & Kings spirits have been aging to — including Minnesota's own Prince ("I Would Die 4 U"), Bob Dylan ("One More Cup of Coffee"), and Trampled By Turtles ("Midnight on the Interstate"). James Bay joins Stones for "Beast of Burden"